The king of dorms. 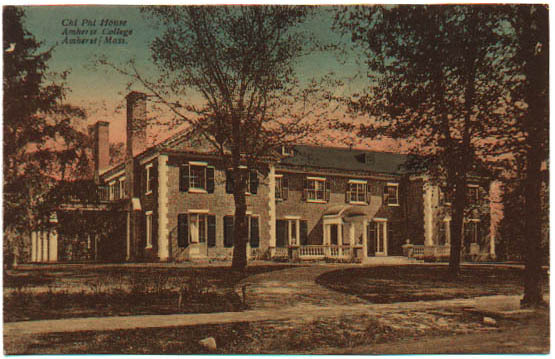 Chi Phi was built in 1918, and purchased by the college in 1984. The house is named for J.S. Hamilton '06, author of "Lord Jeffery Amherst," among other music. Room draw finally worked Senior year, and my room was a huge, exposed-beam, prism-shaped loft that ran half the length of the cross piece of the building. Mine was the darkened, gabled window on the right side of the third floor.